METAIRIE, La. (AP) — Michael Floyd made it clear that he's looking for a fresh start to what's left of his once-promising NFL career. So the St. Paul, Minnesota, native, who floundered with his hometown Vikings last season, is now working on the opposite end the Mississippi River, trying to show Sean Payton and Co. why the New Orleans Saints were right to give him a look. METAIRIE, La. (AP) — Veteran receivers Brandon Tate and Michael Floyd joined practice at New Orleans Saints training camp on Wednesday, bolstering a receiver corps thinned by injuries and adding to the mix of players competing in the return game. UNRESTRICTED FREE AGENTS: QBs Case Keenum, Sam Bradford, and Teddy Bridgewater; RB Jerick McKinnon; WR Michael Floyd; RG Joe Berger; DTs Tom Johnson and Shamar Stephen; LB Emmanuel Lamur; CBs Terence Newman, Marcus Sherels and Tramaine Brock; PK Kai Forbath. On Sunday, as the Vikings play their final regular-season game against the Chicago Bears, Jarius Wright will earn a $93,750 weekly roster bonus for the 16th time this season, bringing his regular-season salary to $2.55 million and officially delivering a payoff on the gamble he made in September. The past few years have seen wide receiver Jarius Wright go from looking like a potential star to a forgotten man on the Vikings roster. Last season, Wright played in only eight games, grabbing 14 receptions for 67 yards, both easily career lows, and one score. Still he never got down, and that is paying off this season. Having survived cuts to make it back for a sixth NFL season, Wright has played in all seven games this season and has seven receptions for 93 yards and a score. In the Vikings 23-10 victory over the Green Bay Packers on Sunday, the offensive personnel was quite different from their season-opening 29-19 win over the New Orleans Saints because of injuries. CHICAGO — Michael Floyd's first catch with the Minnesota Vikings was worthy of the highlight reel. The wide receiver was activated before Monday's 20-17 win over Chicago at Soldier Field after serving a four-game NFL suspension. In his debut with his hometown team, Floyd in the third quarter leaped high for a 19-yard pass on the sideline and got both feet inbounds. CHICAGO (AP) — Minnesota Vikings quarterback Sam Bradford was active for Monday's game against the Chicago Bears after missing the previous three because of a left knee injury. Bradford experienced swelling and soreness following a strong season opener against New Orleans and sought a second opinion from the surgeon who performed both his ACL reconstructions, Dr. James Andrews. PHERSY: Hey Feldy, it feels way too early to be talking about football. While I love all things pigskin, I could use a few months off before we jump into the high school season and our annual Pigskin Preview. At any rate, your Vikings opened training camp last week. They've already been hit by the injury bug along the offensive line, and that's frightening for a team that struggled to block last season. Feldy, you've already been over the camp; in addition to a few spots along the offensive line, what are the key position battles going down in Mankato? EDEN PRAIRIE, Minn. (AP) — The NFL has suspended Minnesota Vikings wide receiver Michael Floyd without pay Friday for the first four games of the regular season for violating its substance-abuse policy. PHOENIX (AP) — An Arizona judge on Monday ordered Minnesota Vikings wide receiver Michael Floyd to serve one day in jail for failing alcohol tests that he blamed on a type of fermented tea. The hearing was meant to give Floyd a chance to make his case regarding the failed alcohol tests and another appearance he missed earlier this month, which stemmed from a 2016 drunken driving arrest in which Scottsdale police say they found the then-Arizona Cardinals receiver passed out behind the wheel. MINNEAPOLIS (AP) — Police say Vikings wide receiver Michael Floyd has been flagged for failed alcohol tests that are part of his monitoring for house arrest in Minnesota. EDEN PRAIRIE, Minn. (AP) — Back in his native Minnesota to begin his diverted career anew, Michael Floyd has moved in with an old friend. "I figured I'd save some money," Floyd said with a smile. Vikings tight end Kyle Rudolph, his college roommate of three years at Notre Dame and now a fellow purple-wearing pass catcher, became Floyd's de facto landlord following the recently incarcerated wide receiver's accelerated arrival from Arizona. MINNEAPOLIS (AP) — The fresh start for wide receiver Michael Floyd's sidetracked career will come at home in Minnesota. Floyd agreed to a one-year, $1.5 million deal with the Vikings on Wednesday. Floyd finished last season with Super Bowl champion New England after a drunken driving arrest led to his departure from the Arizona Cardinals. SCOTTSDALE, Ariz. (AP) — New England Patriots wide receiver Michael Floyd has pleaded guilty to second offense extreme drunken driving and been sentenced to 24 days in jail. The former Arizona Cardinals player entered the plea in Scottsdale City Court on Thursday. He also was sentenced to 96 days home confinement and will be required to wear GPS and alcohol monitoring devices during that time. Floyd was ordered to undergo alcohol counseling and pay a $5,000 fine. HOUSTON (AP) — New England receiver Michael Floyd is inactive for Sunday's Super Bowl against the Atlanta Falcons. Floyd, who was claimed off waivers in mid-December after Arizona released him following a DUI arrest, is inactive for the second straight game. Floyd sat out the AFC championship game to make room on the roster for Danny Amendola, who returned from an ankle injury. FOXBOROUGH, Mass. (AP) — The New England Patriots gave Michael Floyd a fresh start last month when they signed the receiver just a day after he was waived by the Arizona Cardinals following a DUI arrest. FOXBOROUGH, Mass. (AP) — Patriots receiver Danny Amendola says he's "feeling good" and hasn't had any setbacks while recovering from an ankle injury that has sidelined him for the past month. Amendola spoke to reporters Tuesday for the first time since suffering the injury late in the Patriots' win over the Rams on Dec. 4. He missed the final four games of the regular season. FOXBORO — Quarterback Tom Brady noted Saturday after the Patriots’ win against the New York Jets that wide receiver Michael Floyd was one injury away from being vaulted into a significant role. FOXBOROUGH, Mass. 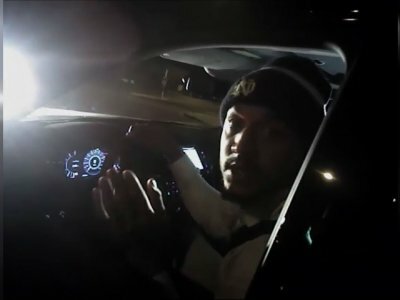 (AP) — New Patriots receiver Michael Floyd said he's trying to learn from his mistakes following an arrest on charges of driving under the influence earlier this month that led to him being waived by the Arizona Cardinals. SCOTTSDALE, Ariz. (AP) — A police report released Wednesday says Patriots wide receiver Michael Floyd had a blood-alcohol level nearly three times the legal limit when arrested on suspicion of driving under the influence and other charges earlier this month in Scottsdale, Arizona. Arizona's legal limit for alcohol is .08; Floyd's blood-alcohol level was measured at .217. FOXBORO -- Friday was Michael Floyd’s first day in Foxboro, but it wasn’t the first time he’s practiced alongside one Patriots defensive back. Logan Ryan has spent the past four offseasons training with Floyd in Arizona, and knows first-hand what the wide receiver is capable of. Floyd was the No. 13 overall pick in 2012, and eclipsed the 1,000-yard receiving mark a year later, but fell from grace with the Cardinals this season. FOXBOROUGH, Mass. (AP) — New England Patriots coach Bill Belichick isn't sure what role newly signed receiver Michael Floyd will play with the team. Belichick says the Patriots didn't have depth at receiver, so he was happy to add the 6-foot-2, 220-pound receiver. Floyd will travel with the team to Denver for Sunday's game against the Broncos, but Belichick wouldn't say whether he will be on the active roster. Floyd's agent Brian Murphy confirmed the move in an email. Floyd, Arizona's first-round draft pick in 2012, was released by the team two days after he was arrested on charges of driving under the influence and failure to obey a police officer. TEMPE, Ariz. (AP) — Arizona Cardinals wide receiver Michael Floyd was arrested early Monday on charges of driving under the influence and failure to obey a police officer. Floyd was found unconscious behind the wheel of his running vehicle at a Scottsdale intersection shortly before 3 a.m. MST., police said. Police said Floyd also was charged with obstructing a roadway. He was booked and released from the Scottsdale jail at 4:58 a.m., police said. TEMPE, Ariz. (AP) — A bad season has gotten worse for the Arizona Cardinals, with a rash of new injuries and the arrest of a wide receiver. TEMPE, Ariz. (AP) — The Arizona Cardinals have promoted wide receiver Marquis Bundy from the practice squad to the active roster and released wide receiver Chris Hubert. Bundy, a rookie free agent out of New Mexico, was signed to the practice squad Sept. 13 after spending the preseason with the Cardinals. The 6-foot-4, 215-pound Bundy caught 31 passes for 395 yards and two touchdowns in 50 career games with New Mexico. The fantasy football waiver wire won't be as active the next couple days compared with last week, when a plethora of injuries resulted in role changes throughout the NFL. The bye weeks begin in Week 4 with the Eagles and Packers idle, meaning no Aaron Rodgers, Jordy Nelson, Eddie Lacy or Jordan Matthews. Owners of Delanie Walker, Antonio Gates, Sammy Watkins, Dez Bryant, Willie Snead and Michael Floyd may need to find replacements on waivers pending the status of their injuries. TEMPE, Ariz. (AP) — Punter Drew Butler sprained his ankle during the Cardinals' 33-18 loss at Buffalo on Sunday. Coach Bruce Arians said the Cardinals could opt to keep Butler active and use him only as a holder. The team may have to look for another punter before Sunday's game against the Los Angeles Rams. "We'll search it all out (Tuesday), look at all our options," Arians said Monday. FOXBOROUGH, Mass. (AP) — Much of the spotlight heading into the Patriots' regular-season opener at Arizona has been focused on the big piece they will be missing on offense. It's anyone's guess whether New England can duplicate its typical efficiency without Tom Brady. But having to lean on its defense against a Cardinals team that Bill Belichick says has "as good a group of skill players that we've seen in a long time" may not be the worst thing either. GLENDALE, Ariz. (AP) — Everyone who pays attention to the NFL knows the Arizona Cardinals are loaded at wide receiver. There's Larry Fitzgerald, of course, Michael Floyd and speedy John Brown. Last year the Cardinals added J.J. Nelson, who may be the speediest of all. But there's another Brown on the roster, Jaron, and he's been the most impressive receiver in training camp.